With a stay at Odalys - Appart'Hotel Les Félibriges, you'll be centrally located in Cannes, a 3-minute drive from Cannes Harbour and 8 minutes from La Croisette. This residence is 2.9 mi (4.7 km) from Sophia Antipolis and 13.6 mi (21.9 km) from Marineland Antibes. A cosy place to stay in the heart of Cannes, the classically-styled Hotel Festival is within easy walking distance of la Croisette, the beach and the famous Palais des Festivals. The hotel offers a continental breakfast, delivered to your room, and has a Jacuzzi and sauna. 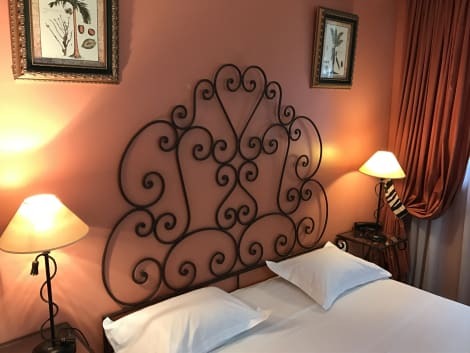 Rooms are air conditioned and soundproofed, and have minibars, safes, marble-finished bathrooms, flat-screen TVs with international channels and free wi-fi access. Make yourself at home in one of the 18 air-conditioned guestrooms. Complimentary wireless Internet access is available to keep you connected. Bathrooms have showers and hair dryers. Conveniences include desks, housekeeping is provided daily, and irons/ironing boards can be requested. Make yourself at home in one of the 48 air-conditioned rooms featuring flat-screen televisions. Rooms have private balconies or patios. Complimentary wireless Internet access keeps you connected, and satellite programming is available for your entertainment. Bathrooms have bathtubs or showers and hair dryers.